The most enchanting ornament of all the Freudian biographical literature. 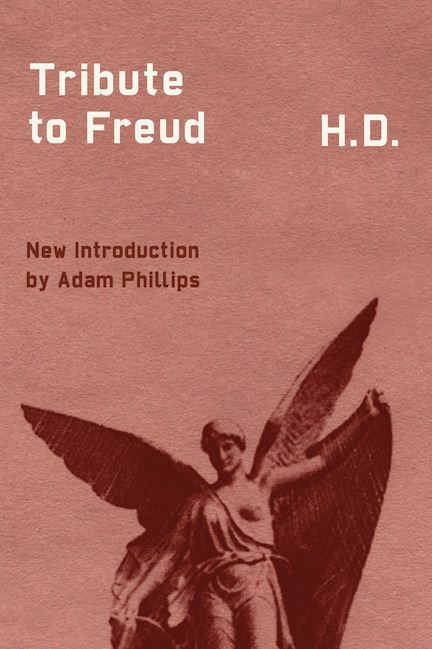 A classic of American literature, now with a new introduction by iconic author and psychotherapist Adam Phillips. “My bat-like thought-wings would beat painfully in that sudden searchlight,” H.D. writes in Tribute to Freud, her moving memoir. Compelled by historical as well as personal crises, H.D. underwent therapy with Freud during 1933-34, as the streets of Vienna were littered with tokens dropped like confetti on the city stating “Hitler gives work,” “Hitler gives bread.” Having endured World War I, she was now gathering her resources to face the cataclysm she knew was approaching. The first part of the book, “Writing on the Wall,” was composed some ten years after H.D.’s stay in Vienna; the second part, “Advent,” is a journal she kept during her analysis. Revealed here in the poet’s crystal shard-like words and in Freud’s own letters (which comprise an appendix) is a remarkably tender and human portrait of the legendary Doctor in the twilight of his life. Time doubles back on itself, mingling past, present, and future in a visionary weave of dream, memory, and reflections. A warm and revealing portrait of H.D.’s mentor and friend.